1940, in Ibadan, Ondo State of Nigeria. He is an indegene of Delta State of Nigeria. 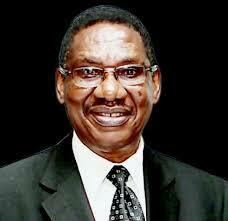 Professor Itse Sagay (SAN), attended Government College, Ughelli, Delta State, from September 1954 to December 1959. After first working as a Customs clerk and later as a programmes operator (studio manager) in the then Nigerian Broadcasting Corporation, Ikoyi for about three years, he got admission as a member of the first batch of students into the Faculty of Law, University of Ife in September 1962, where he graduated with Second Class Upper Division in the year 1965. He proceeded to the Nigerian Law School for his professional training and was called to the Bar in July 1966. He then obtained the Certificate of the Council of Legal Education (B.L.) 1966 and became an enrolled Barrister and Solicitor of the Supreme Court of Nigeria on July 22, 1966. Between 1966 and 1970, Itse Sagay was a student at King's College, Cambridge University, Cambridge, England. He obtained Masters Degree (LL.M) in International Law from Cambridge University in 1968. In 1970, he qualified and was awarded Doctor (Ph.D) of International Law at Cambridge University. Sagay obtained Certificate of The Hague Academy of International Law (1976). He became a Senior Advocate of Nigeria in September 1998, and a Fellow of the Chartered Institute of Arbitrators in the year 2002. Professor Sagay’s graduate study supervision includes the following works of detailed research: L.L.M. Dissertation, International Economic Law and P.HD. Dissertation, in public International Law. Sagay has conducted Oral Examinations for Master's and Doctorate degrees at the Universities of Lagos and Ife, Nigeria. He also did same for Undergraduate degree examinations at the Universities of Lagos, Ahmadu Bello, Ibadan, and Nigeria Nsukka. - He was a Consultant to the Oyo State Law Review Commission in the year 1980. - In the year 1981, he was appointed a Law Reviewer by the Nigerian Law Reform Commission, with a special assignment to review, bring up to date, and streamline all the laws of the Federation of Nigeria from the years 1967 to 1968. - He was a member of the Planning Committee of Bendel State University, Ekpoma in 1982. - He served as the Chairman, Committee for the preparation of a programme for the establishment of the College of Legal Studies of Bendel State University, Ekpoma in 1982. - He was Commissioned by the United Nations Special Committee Against Apartheid to do a paper titled, "State Terrorism in South Africa" as part of the United Nations working documents for a special seminar held in Lagos, Nigeria, from August 13 to August 16, 1984, on the theme, "The Legal Status of the Apartheid Regime in South Africa and Other Legal Aspects of the Struggle Against Apartheid". The paper now forms an official document of the United Nations. - In 1984, he was the United Nations Consultant on Namibia, Colonialism, and Racial Discrimination. - In 1985 was an Invitee of the Nigerian Institute of International Affairs as a Distinguished Scholar who delivered the first of two special lectures in remembrance of the fortieth anniversary of the establishment of the United Nations Organization on the August 27, 1985, titled: "Forty Years of the United Nations Organization: Building a Better World for Mankind". - Between 1991 and 1992, he was a consultant to the Organization of African Unity and the United Nations Development Programme on the Organization of African Unity Protocol on Free Movement of Persons, Rights of Residence and Establishment, under the 1990 African Economic Community Treaty. - In 1993, the Federal Ministry of Petroleum and Mineral Resources appointed him a Consultant for the Revision of Nigerian Mineral Law. - He was the Counsel to Nigeria in the Cameroon/Nigeria Boundary Case, that came up before the International Court of Justice (ICJ) in 1994. - He was appointed Member, of the Board of Trustees and Governing Board, Negotiation and Conflict Management Group (NCMG), Nigeria, from 1996 to 2010. - Between 1998 and 2000, He was a Consultant to USAID and the Office of Transition Initiative, on Democratic Governance. - Between 1999 and 2007, He was a member of the Delta State Think-Thank on Development. - Between 1999 to 2007, he was a member of the Governing Council of Delta State University. - He became a member of the Delta State Law Revision Committee in the year 2005. - Between January and July 2005, he was a member of the National Political Reform Conference, Representing Delta State, February - July 2005. Ph.D. Thesis (CAMBRIDGE UNIVERSITY) - 1970. AJALA, A., and SAGAY I.E. (Editors) Teaching International Humanitarian Law in Nigerian Universities, (1998) ICRC, Lagos. Current Research Works and Activities. 5. Human Rights and International Humanitarian Law. Editor, Journal of Nigerian Business Law and Practice. Trustee and Member of Governing Board, Negotiation and Conflict Management Group, Nigeria. (1996 – 2010). In August 2015, President Muhammadu Buhari appointed a Presidential Advisory Committee against Corruption headed by Professor Itse Sagay. The Committee duty among other things, include to advise the Buhari led administration on the prosecution of the war against corruption and the implementation of required reforms in Nigeria’s criminal justice system.